Morgan & Morgan’s Business Trial Group has seen great success through all of Florida in all manner of business and commercial disputes. Our Tallahassee office is no different. Our Tallahassee business attorneys handle a variety of cases, from contract breaches to construction, real estate to securities, intellectual properties, and far more. Even better, these attorneys have specialized education and experience in the field you need help in, understanding the complexities of Florida law. And they even do it without any costly legal fees! Our attorneys work on a contingency-fee basis, so that you can still get powerful and resourceful representation against bigger corporations. To discuss your case and see what you could be owed, call our Tallahassee office at 850.329.6895 or fill our case review form at no cost. What Business Litigation Cases Do We Handle? Fraudulent business practices are all too common, but the Business Trial Group has dedicated lawyers who have gotten their clients settlements worth millions of dollars after they found themselves the victims of a contract breach. As you can see, breaches of contract can encompass quite a bit, and having an experienced Morgan & Morgan attorney to parse through the details puts you in a far better position. Disputes that are arguably more minor than those mentioned - unpaid debts, promissory notes, commercial leases, partnership agreements - should still be handled by the best to make sure you’re getting the best treatment for yourself. Our business attorneys are well-versed in business torts, chief among them breaches of fiduciary duties. A fiduciary relationship involves one acting as advisor or confidant for the other party. This could be an attorney-client relationship, broker-client, partner-partner, executor-heir, corporate office-shareholder, and more. The established power dynamic in these relationships is one that can, unfortunately, get taken advantage of. With our attorneys behind you, you can see if someone has breached their fiduciary duties for you. Much like construction itself, there are a lot of people involved in a construction lawsuit. The Business Trial Group’s Tallahassee construction lawyers represent employees, owners, designers, suppliers, contractors, subcontractors, and more. With so many hands involved in construction, it’s hardly surprising that accidents, mistakes, and corruption occur. But it is dangerous and damaging, and you need the best representing you when it happens. Our Tallahassee construction lawyers, like our other Florida construction lawyers, are Florida Bar Board certified construction specialists. Less than 1% of all Florida lawyers have that distinction. Our construction lawyers set themselves apart from the rest, and they’ve gotten hefty settlements for their clients as a result. Some of our construction cases have been due to tangible physical issues in construction. This could mean a defective window or a roofing issue that causes water damage. There are also many intangible issues, as well as contract breaches, that one can get embroiled in during construction that we handle. The attorneys in Morgan & Morgan’s Business Trial Group represent both employees and businesses in a wide variety of employment lawsuits in Tallahassee. On behalf of businesses, our attorneys often handle employment cases involving breaches of non-compete, non-solicitation, and non-disclosure agreements (“NDA”). We also handle cases relating to misappropriation of company property and trade secrets, as well as unpaid wages and tortious interference. Employment cases are perhaps the cases where our contingency-fee basis is most important. Employees trying to fight against contract breaches and lost wages are often dealing with companies with far more resources, and legal fees add up. Without worrying about the hourly legal fees of an attorney, you can rest assured knowing you have expert representation fighting for you without breaking the bank. If you are having a dispute involving patents, trademarks, copyrights, or trade secrets, our intellectual property attorneys can help. Our Business Trial Group attorneys represent individuals and businesses alike in protecting trademarks. It is important to contact an attorney if you feel you have an intellectual property case as soon as possible. Our attorneys have gotten their clients settlements wherein they’ve recovered lost damages, reasonable royalties, and in some cases treble damages. Our Tallahassee securities attorneys are held to the highest standard, as lost damages in investment and securities cases can be massive. Securities lawsuits often involve breaches of fiduciary duties, churning of brokerage accounts, unauthorized trading, or margin claims. These types of misconduct can do terrible damage to your investments. If you feel you have a case, do not hesitate to contact us for a case review to see what your potential recovery could be. The Business Trial Group’s securities attorneys are well-versed in the rules and procedures of the Financial Industry Regulatory Authority (“FINRA”). More often than not, allegations of misconduct against a stockbroker or advisor are heard through an arbitration before FINRA. Throughout Florida, we’ve helped those who have suffered investment losses and securities fraud recover compensation, and we can help you too. Attorneys can commit legal malpractice when they fail to exercise due care in handling a legal matter or otherwise fail to practice law in accordance with the Florida Rules of Professional Conduct. This type of misconduct and fraud can result in horrific losses; victims are owed the damages they deserve for malpractice. In addition to handling cases involving attorney malpractice, our lawyers represent clients who have been harmed by accountant malpractice, insurance agent malpractice, engineering malpractice, and architectural malpractice. Accounting malpractice occurs when an accountant, due to negligence or fraud, damages their client financially. Malpractice on behalf of an insurance agent can leave a client with troublingly insufficient insurance coverage. In the case of emergency, you were not protected like you thought you were. When these various people fail to provide their fiduciary duties, be it through negligence or fraud, you are owed compensation and damages for what it caused you. For most instances of professional malpractices in Florida, the statute of limitations for filing a lawsuit is two years from the time it was discovered or reasonably could have been discovered; with medical malpractice. Time is of the essence. Matters involving partnerships or shareholders can be tricky, and when they fall apart it becomes far trickier. 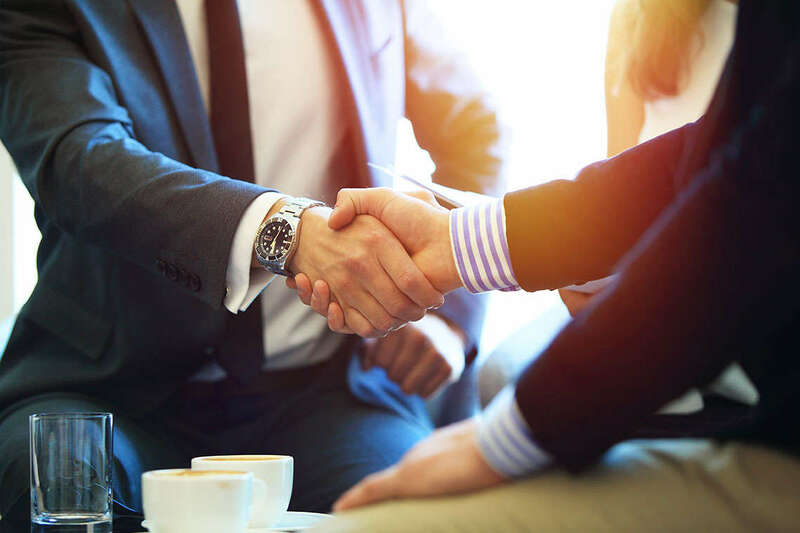 Our Business Trial Group attorneys have no shortage of experience in dealing with disputes involving real estate partnerships, medical partnerships, accountant partnerships, law firm partnerships, and more. Partners can be lied to about their assets are wrongfully forced out of their own company, and when that happens they have a right to recover damages. Partnership disputes can get ugly, fast. With Business Trial Group business attorneys behind you, your case can get settled efficiently. In addition to partnership disputes, are business attorneys have extensive experience dealing with shareholder disputes. A few of the lawsuits that can help victimized shareholders include shareholder derivative lawsuits, shareholder oppression lawsuits, and shareholder inspection and accounting. A shareholder derivative action is typically brought against company management, such as majority partners, officers, directors, or board members who are suspected of damaging the corporation. In lawsuits like these, our attorneys give shareholders and minority owners a voice against more powerful owners. Our Tallahassee trust and estate litigation attorneys assist individuals who are being wrongfully denied their inheritances. This includes money, personal property, real estate, or anything else mentioned in a trust or will. Trust and estate lawsuits involving fraud, undue influence, breach of fiduciary duties, and more are something that our trust attorneys have experience in, and if you believe you’ve been the victim of such fraud, you might have a case. Under Florida law, personal representatives of estates, including trustees and guardians, are classified as fiduciaries. This means they must act within the highest legal and ethical standards imposed by the law. Those who fail to act up to the law’s standard of trust ethics, willingly or negligently, can be subject to lawsuits to compensate victims for their financial losses. Our Tallahassee business attorneys work on a contingency-fee basis. That means that you don’t deal with hourly legal fees that would otherwise make a lawsuit unmanageable. If we successfully resolve your case, we get a fee. If we don’t, you don’t pay a cent. The contingency-fee basis keeps you in the running, so to speak. Managers, partners, and corporations will often counter with expensive legal counsel to pressure you to either drop the case or settle for lower than what you deserve. This ceases to be an issue when your lawyer isn’t charging hourly fees, and you still get a fair chance at a resolution. Morgan & Morgan has been helping out the good people of Florida since 1988 with their claims, and we have rapidly expanded ever since. Our Business Trial Group has the experience in law and the Tallahassee knowledge needed to get you a fair shake at compensation. We deal in all manner of commercial disputes, and our attorneys are specialized in their fields, ensuring that they have the know-how you need. To learn more about the Business Trial Group’s commercial litigation attorneys, contact us today at (850) 329-6895 or complete our 100% free Case Review Form.